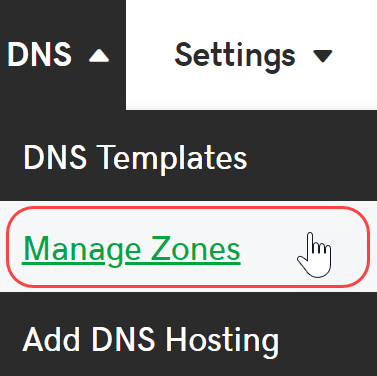 Once you add DNS Hosting for your domain, you can access the zone file to add, edit or delete DNS records. View and edit your zone file records as needed. Unable to access DNS and Manage under the product page.